Prayer has always been a mystery to me. I think it was a mystery to the early disciples as well because they seemed baffled by prayer in Luke 11:1 and said “Lord, teach us to pray.” They recognized that when Jesus prayed it was rich and personal and intimate—unlike the religious leaders of their day. It is no wonder that they tracked Jesus down and asked him to be their mentor when it came to prayer. The first phrase in the Lord’s Prayer is “Our Father.” Rather than addressing Him as some far-off deity, Jesus addresses him as His Daddy or Father. I wonder how much that must have shocked those sitting in the crowd that day? I wonder if the religious people got offended that God would be addressed so personally and casually? The second phrase in the Lord’s Prayer, “which art in heaven,” talks about the location or address of God. In other words, God’s oval office is in heaven; that is where He resides and where He does His business. When we remember our position in Him, we can enter His presence with confidence. Colossians 1 says that although Christ is in heaven, He is also in us by His Spirit! He lives in heaven and yet He lives in us. What a mystery! He alone is master of being in two places at once and yet, interestingly enough, we too live in two places at once: we are on earth and yet we are seated with Him right now in heavenly places. 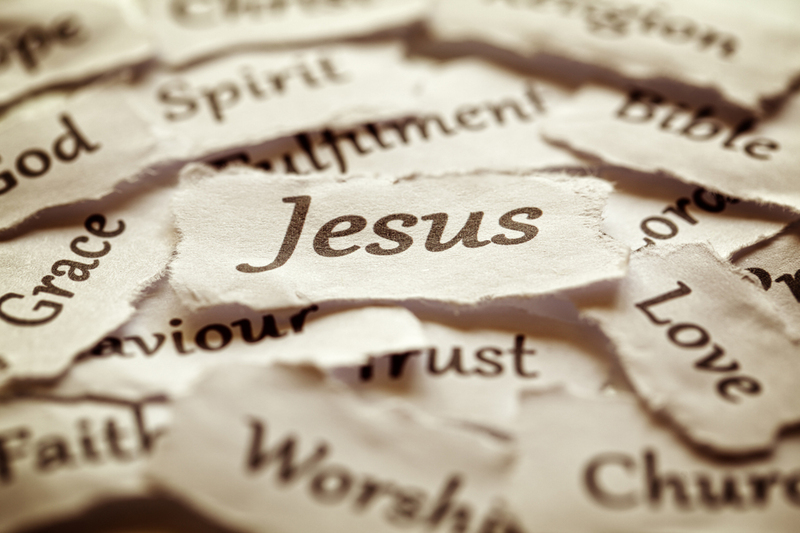 Jesus is describing the Father’s name as holy. What does that mean? A person’s name in the Bible represents who that person is, their character. So what Jesus is saying here is that the Father is holy through and through. That is who He is. Not only is the Father set apart by being in heaven, His personality and His entire being is holy. Reputation is what others say about us, but character is who we are. God’s character is holy, that is who He is. Sometimes we have a good name with some people and a bad name with others at the same time. The Father, on the other hand, always has a good name for His name is always holy. God is Not Just a Buddy! We tend to live in a Christian culture where the attribute that is most often given to God is that He is a God of love. Rarely do we hear about the fact that our God is holy. We can relate to love. We feel comfortable with love. This can lead to us thinking of God as just a friend or a buddy, but God is far more than that. Holiness is something that we tend to be uncomfortable with, and yet it is because God is holy that He stands apart and is worthy of our worship and our reverence. It is because He is holy that we should fear God, and fearing God always leads to obedience. Did you know that there is only one attribute of God that is repeated three times in a row in both the Old Testament and in the New Testament? It is known that if something is repeated twice in a row in Scripture that the author is trying to make a point that he doesn’t want you to forget, but when something is repeated three times you know that it is something you should never forget. So what attribute is repeated not twice, but three times in two different places in the Bible? The three words are “Holy, Holy, Holy!” (Rev. 4:8, Isaiah 6:3). Why, of all the different ways to describe God the Father, would Jesus address His Father as holy? I think it is because Jesus knew something about holiness that we have either never known or have forgotten about over time. You see, it is because God is holy that we can trust God. God is not just love; He is holy. Therefore, His love is a holy love. That’s what makes His love so different than human love. Man’s love is imperfect, but God’s love is not—because He is holy. Jesus did not give these words to the disciples as just another prayer to memorize. Earlier in Matthew 6:5-8 Jesus railed against simply repeating religious sounding words to impress both man and God. It is rather ironic that many people have learned the Lord’s Prayer by memory. It is common to say this prayer in many churches; and what often happens is as they corporately say the words they once again fall into saying words that have no meaning. I think that is what happens when we forget that the words Jesus uses here are to instruct us how to pray, not necessarily what to pray. Prayer is God the Father and us, His children, communicating. It is not about getting what we want, but about getting God. May You, Jesus, Be Holy in Me! Lord Jesus, hallowed (holy) be your name. In other words, may you be holy in both my personal and public life this day. I want to be more aware of what you say about me and think about me than what my friends think or say. May you be holy in me so that I am more concerned about my character than about my reputation. Amen. Ron Thiessen is “married to my best friend Rita,” and they are blessed with three adult kids: Kendra, Jayden, and Myron. He is the pastor of Community Bible Fellowship in Swan River, Man.